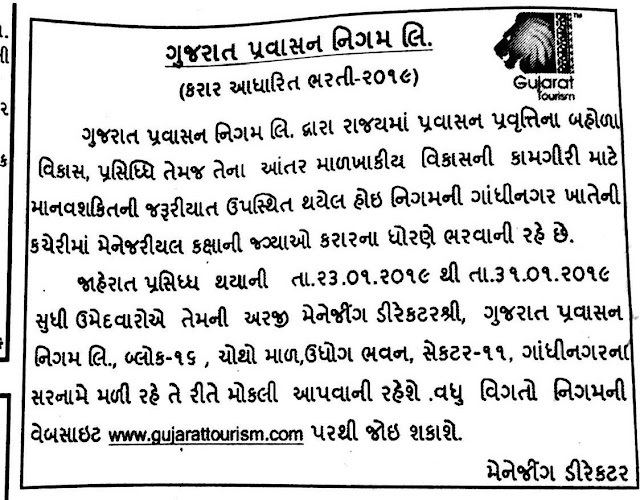 Tourism Corporation of Gujarat Limited (TCGL) has published Advertisement for below mentioned Posts 2019. Other details like age limit, educational qualification, selection process, application fee and how to apply are given below. Age Limit: Age Limit for above post is 35 years. However in case of candidates with similar experience with Govt. Department/Undertaking, age limit will not be considered and Preference will be given to such eligible candidate. 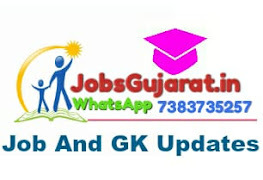 How to Apply: Candidates submit their application to The Managing Director, TCGL, Block No:16/17,4th Floor, Udhyog Bhavan, Sector-11, Gandhinagar-382010 within Dt.23/01/2019 to Dt.31/01/2019. Application received after time limit will not be considered.